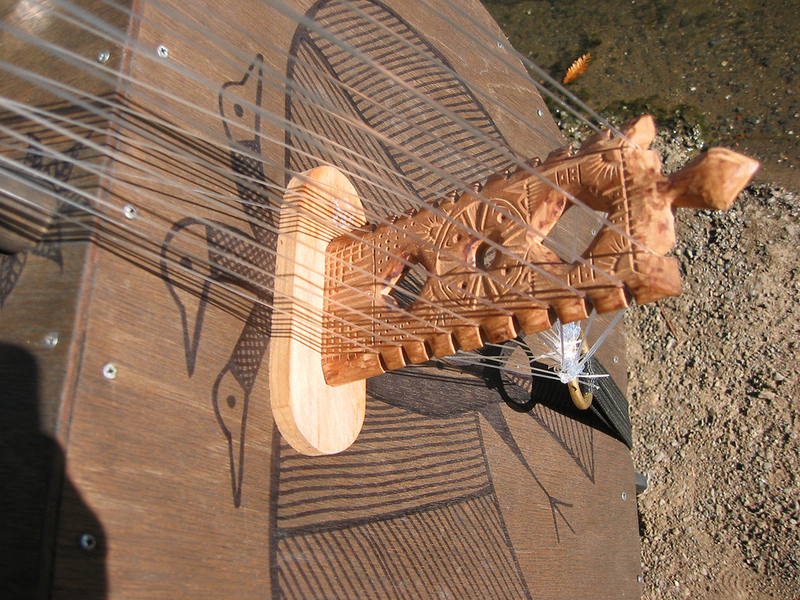 This is a 21-string instrument inspired by the West African Kora. I first carved the bridge you see above and eventually gathered enough materials to build the entire instrument below. It is 6 feet tall, under great tension, complicated to move, dinosaur-like, has great presence, a ringing crystalline sound, and is one of my favorite instruments. Check out the VIDEO below. At 9:45 into the video the Phonokora section begins so jump to that point.